True, but it’s just an incidental. Learning a second language is a source of bragging rights. True again, but it’s still an incidental. 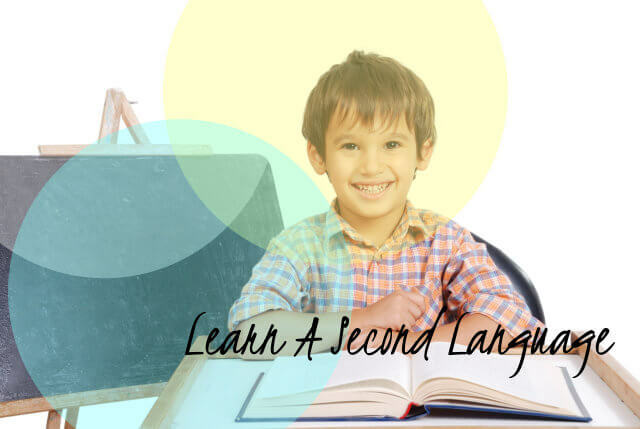 No question about it, learning a second language is both fun and a source of bragging rights. In fact, in our school Montessori Children’s House, the world-leader-producing Early Childhood Education in Riverside, California, fun is given emphasis in learning Spanish. Well, we are catering to little children, so we design our Spanish module in a way that it’s interesting and fun at the same time. After all, our lessons are intended for beginning Spanish learners. But there’s more to these incidentals that what meets the eye. Speaking a foreign language improves the functionality of your brain by challenging it to recognize, negotiate meaning, and communicate in different language systems. Students who study foreign languages tend to score better on standardized tests than their monolingual counterparts. The “juggling” skill that multilingual people possess makes them good multitaskers because they can easily switch between different structures. Brain, as in muscle, functions better with exercise. Learning a new language involves memorizing rules and vocabulary, which helps strengthen that mental “muscle.” Such an exercise improves overall memory. According to a study from the University of Chicago, bilinguals tend to make more rational decisions. They are also more confident with their choices after thinking it over in the second language. A study from the University of Pompeu Fabra in Spain suggested that multilingual people are better at observing surroundings. They are also better at spotting misleading information. As mentioned earlier, our Early Childhood Education in Riverside, California, Montessori Children’s House, teaches Spanish to little kids. They learn basic vocabulary words using pictures as well as in the abstract. They also write sentences and engage in conversational Spanish with their teachers and peers. Make your children reap the healthy cognitive benefits of learning a foreign language, aside from fun and bragging rights. Enroll them at the one and only Early Childhood Education in Riverside, California, Montessori Children’s House. Call us now at 951-359-5437. Or see us personally at 10493 Magnolia Ave., Riverside, California 92505. If you cannot do both, send us a message at mjayarat@gmail.com or chat with any of our admin personnel via Facebook, Twitter or LinkedIn. We are active on these sites. Have you learned a foreign language? What’s your experience talking or writing in a language different from our mother tongue? Please share your views by posting them on the space below this article.